The Smash series makes its valliant return this year with Super Smash Bros Ultimate. It’s the first entry to come to Nintendo Switch, and boasts the largest roster so far. 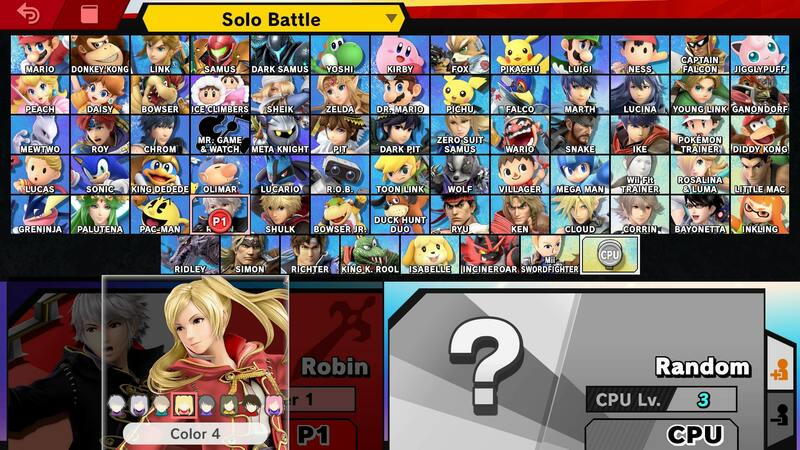 There’s a whopping 74 characters to play as, and that’s not even including the DLC characters that are set to arrive post-launch. Every single fighter in Smash history is making a return, alongside new characters like Incineroar and Simon Belmont. In this Super Smash Bros Ultimate Robin Guide, we’ll be taking a look at Robin from the Fire Emblem series. We’ll be taking a look at the changes that have been made since his last appearance, and also detailing the Final Smash and Alternate Costumes. For more on every single fighter in Super Smash Bros. Ultimate, head over to our Super Smash Bros Ultimate Characters Guide. You'll find an ever-growing list of guides on all of the characters in the game, so keep checking back in to see if your favorite fighter has been covered yet. Robin is back for Super Smash Bros Ultimate, boasting some new moves and new Alternate Costumes. To get you up to speed with the changes that have been made to Robin, we’ve listed some core info below. Robin might come to Super Smash Bros. Ultimate apart from Crom, but his Final Smash move can see the pair uniting. In the table below, you can find a complete list of all the moves that Robin can pull off. Several changes have been made to Robin since his last appearance in SSB4. There are new Alternate Costumes, alterations to animations and tweaks to their moveset. Let’s take a look at all of the changes to Robin for Super Smash Bros Ultimate. Several animations have been altered including jumpsquat, Elthunder, Up Smash and Neutral attack. There are a few new Alternate Costumes. Robin does not start with his Levin Sword. There is now a meter showing how many uses of Levin Sword and Tomes the player has at their disposal. Nosferatu can only be used three times. Robin has a few new Alternate Costumes in Ultimate. For male Robin, there are black, green, blue and white variants. For female Robin, there are black, orange, yellow and pink variants. You can check out the female black version in the image embedded above. The green male and the pink female are also shown in the image below. 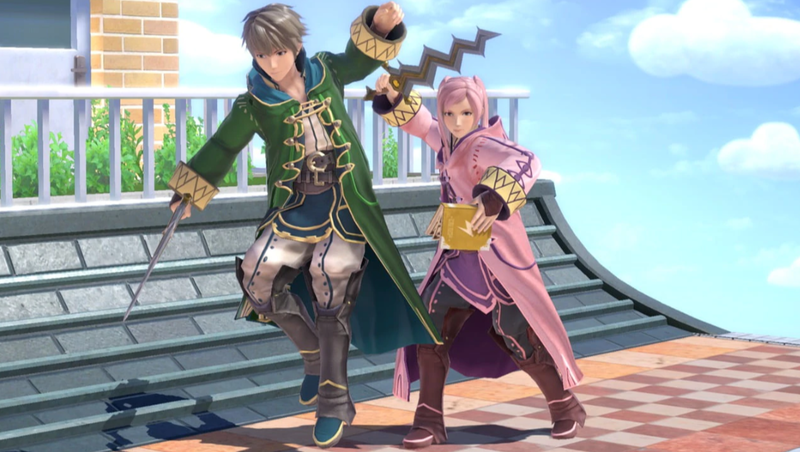 Robin uses the Final Smash Pair Up in Super Smash Bros Ultimate. 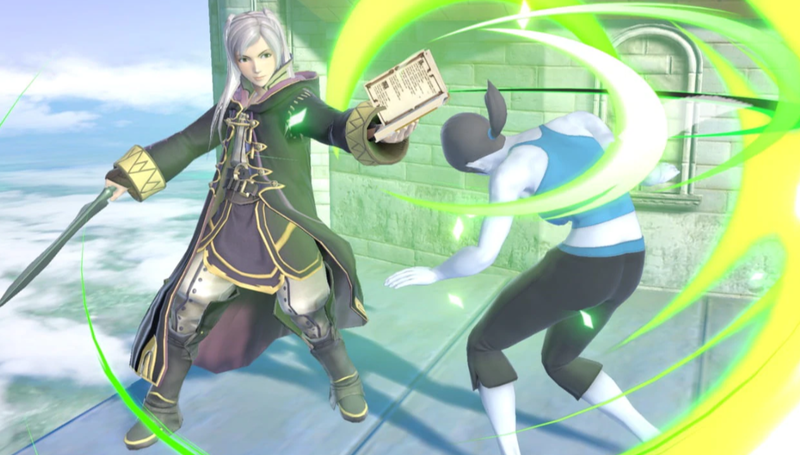 Robin summons Chrom for the attack, using the same character model as the playable fighter version of Chrom. That’s everything we know about Lucas in Super Smash Bros Ultimate so far. Be sure to check back regularly, as we’ll be adding in more info on Peach as it gets released. For more details on the game as a whole, head over to our Super Smash Bros Ultimate Guides Hub.